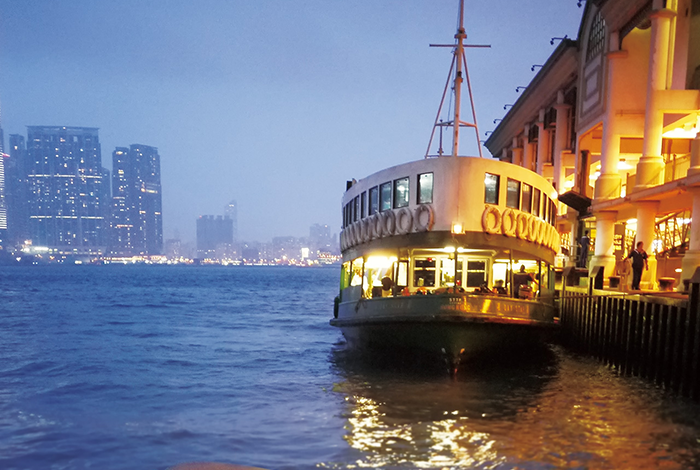 The Star Ferry operates inner harbour crossings between Kowloon Peninsula and Hong Kong Island at Victoria Harbour. The ferry crossing is renowned the name of “50 places of a lifetime” where it enables passengers to feel sea breeze, watch sea birds flying freely in the sky and magnificent harbour views both day and night on a nostalgic classic ferry. 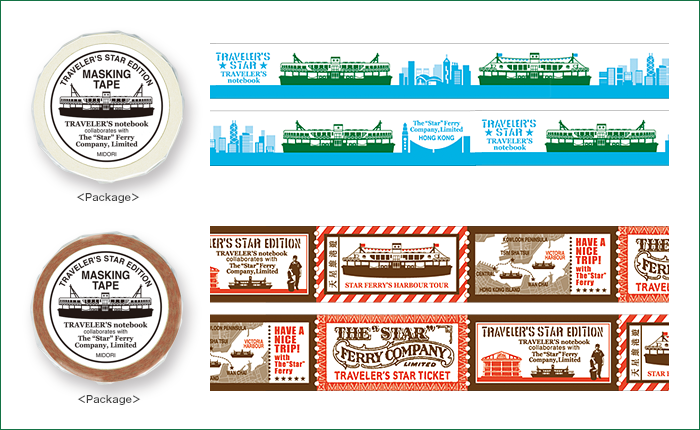 We made “TRAVELER’S STAR EDITION” with a wish that it forms a bridge to connect the beloved Star Ferry with travelers. 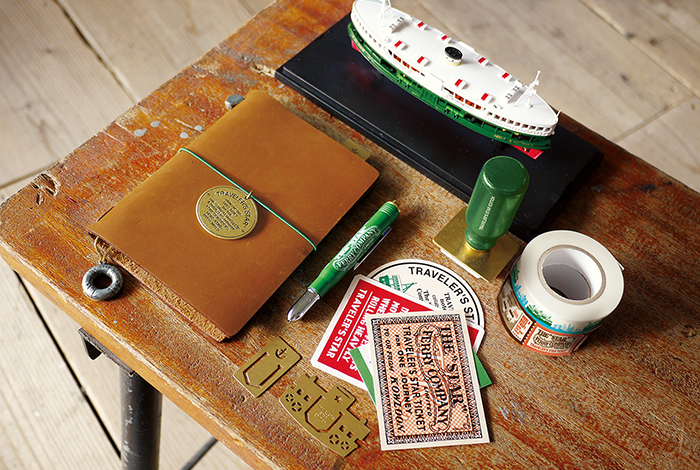 There are charms and clips with a motif of the Star Ferry’s heritage as well as refill notebooks in the line-up. The refills include a route map from Kowloon Peninsula to Hong Kong Island and a brief history of The Star Ferry. A free ride coupon is also enclosed to let you experience this memorable ferry ride. Having these products will give you the sense of the trip with The Star Ferry without going to Hong Kong. When you actually visit Hong Kong one day, open this notebook again and write down what you see, what you experience. All the “Star” Ferry boats have “Star” in their names. This charm’s motif is the brass plate with the name engraved on it. You can enjoy threading the charm with a bookmark string or a rubber band. The “Star” Ferry’s characteristic life buoy made of tin, which is the same material as the clasp of TRAVELER’S notebook. You can enjoy threading the charm with a bookmark string or a rubber band. A set of brass clips on the motif of the “Star” Ferry boat, life buoy, star and anchor. You can use them for bookmarks or indexes. Limited Brass Ball Point Pen is made of a green body, the color of the Star Ferry boats, and features the vintage logos of TRAVELER’S STAR and Star Ferry. As you will use it for many years, it will get some scratches and its surface texture will change. This is very becoming of many Star Ferry boats, which have been in use since the 1950s. Limited Stamp consists of a green wooden handle, suggesting some parts in the interior of a Star Ferry boat, and an ink pad of virgin brass.Try this stamp on a notebook page, letter, etc., and you will see an image that conjures up a nostalgic voyage of centuries ago.